I have been listening to real estate investing podcasts recently, if you haven’t discovered them you need to. Recently, I have been traveling a lot and in an effort to pass the time, and educate myself, I have let Podcasts consume my windshield time. If you have not heard of them, simply go to itunes, pick your favorite subject and download them. The fabulous thing is they are free and they offer such value. Sure beats that never-ending struggle of searching for a strong terrestrial radio signal. Some of my “must listen to” real estate investing podcasts are The Biggerpockets podcast and Jason Hartman Creating Wealth. Listening to these will give you a greater understanding of real estate investing and lead you to a fabulous network of like minded and experienced investors. You gotta check them out. No, I am not being paid to endorse them, I simply feel the need to praise them, almost as if I owe em, for all the free education they have provided me. So, if you are looking for free and engaging real estate guidance, please check them out. Now, on to the real objective of this post. There are lots of reasons individuals want to get rid of their real estate; from job transfers, to the need to downsize, to neighborhood shifts, and everything in between. That said, if you are a real estate investor you want to focus your search, and hone in on 3 particular life changing events, which often necessitate the unloading of a property, then consider the 3 Sacred D’s. These 3 Sacred D’s of real estate can be the cause of a fire sale of the property, and therefore a potential bargain for the savvy investor. Unfortunately, the loss of loved ones interrupt life in so many ways. A spouse no longer has the will to live in the house where so many memories were created. An elderly women loses her husband who was the caretaker of the house and now, she can no longer handle the upkeep. A young stay-at-home mother loses her spouse (the breadwinner) and can no longer afford the payment. These are horrible situations, we all agree on that. Truly though, people experiencing such a catastrophic loss may need, more than anything, a solution. That is where the real estate investor really can help out. Some may call it insensitive, I get that. I truly believe though, if you knew of someone who was going through this and you offered a mutually beneficial deal to the new real estate heir, they would be grateful for your help. It may allow them to close their estate, or even better, keep realtors and attorneys out of the picture. So, your offering a solution, may be the difference between keeping a house they dont want or can’t afford to washing their hands of the sad situation they have found themselves in. You, as an investor can help them! I have a friend right now who is going through a divorce. Many of you do, too. My friend just bought a house about a year ago and because of his pending divorce wants to move to a different town. His ex has moved out of the house and so now he is in a predicament. Does he sell the house for a net loss, or does he rent it out. He has chosen to rent it for now, but I told him, if that does not work out and you want out from under the obligation, I would be interested in taking it over subject to. He had never heard of subject too, didn’t even know it was legal. I told him it happens all the time, and if he is interested in making a deal like that, I too am up for it. Do you know he was thankful for my even suggesting it, cause now he knows if things go south with his renter, or with the difficulty he will now have by living 2 hours away, he has an option. An option which will not hurt his credit. Debt has so many tentacles it can effect all aspects of daily living. From credit card debt causing a move from ‘homeowner’ to ‘renter’, to being “underwater” on a home mortgage causing the need to short sell or foreclose. Debt is profound, and it is everywhere. The financial crisis, which began in 2007 has exposed the massive problems this country has with its debt obligations. Debt effects so many people today in a negative way, that ultimately they will be forced to sell their homes and consider something smaller or possibly even rent. 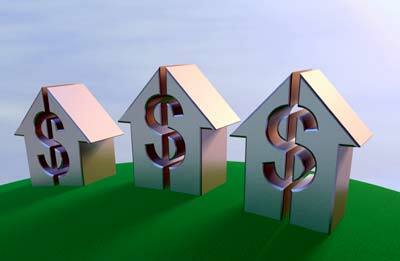 I view real estate investors as a sort of problem solver. They can take each particular situation and offer a solution. They are providing a mutually beneficial result and often times both parties walk away happy. So, there you have it, the 3 sacred D’s of real estate investing. There are many ways to reach those who are effected by one or all of these life-changing events and you can be their savior. Some ways to capture an audience are by: sending mailers, making cold calls, putting signs around town or on your car, or by just plain talking to folks at the local coffee shop.
. Its a really excellent step by step strategy book on how small investors can make a fortune during evenings and weekends. Its been in print since the 60s and has helped thousands of people make a fortune in real estate. Thanks for this post, Jim. My wife and I plan to purchase our first rental property in the next year and those two shows are now in my Podkicker. Do you have a recommendation for how you can identify when any of the 3 D’s are coming into play, and how you can move on such an opportunity? I can see how they’d be beneficial to a real estate investor but I’m not entirely sure how to learn about these situations, other than word of mouth. Well, just off the top of my head… You could read the obituaries, find a few to investigate, search the tax records (public information) of some of those deceased, then send them a letter with an offer. I have checked tax records before and sent a letter stating my interest in purchasing a home but I got no response. I bet if you did this 10 times you would get a response. Hope that helps! Awesome post, Jim – thanks for the shout out! It’s sad that these situations happen to people, but the interesting thing is – investors aren’t there to take advantage – investors are there to help solve a problem. I would never buy a house from someone who wasn’t excited to sell to me – because I was solving their problem! Thank you Brandon, agreed, sometimes investors get a bad wrap by being portrayed as ‘money hungry opportunists’, but that is simply not the case. The good deeds done by investors, often go unnoticed!